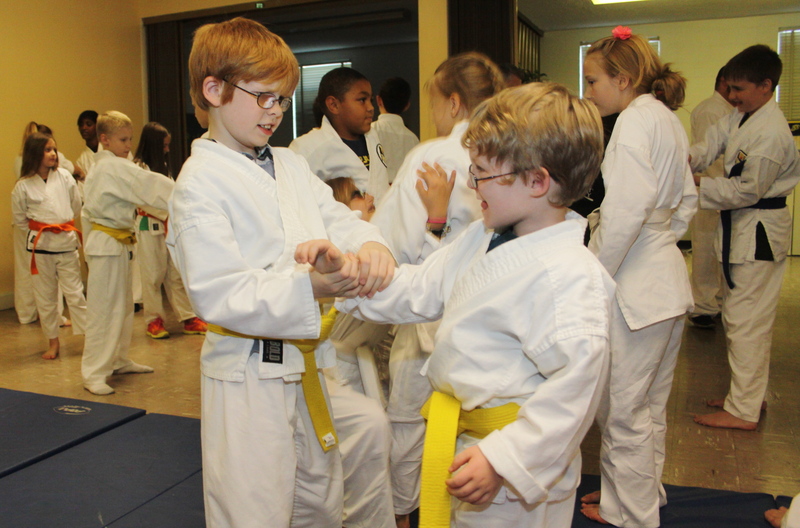 Many martial arts classes have an ‘introductory’ lesson that gives students and instructors an opportunity to get to know each other and helps the students understand what they can expect to learn. Whatever the martial arts style, self defense will probably be a key element in that first lesson. 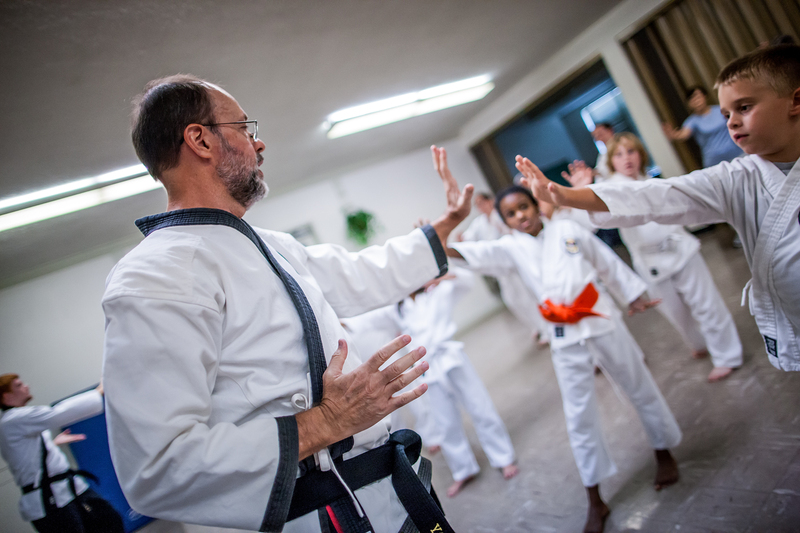 In Grace Martial Arts, we want every new student to know that they will learn how to be safe from harm. The ‘introductory’ class will include the 3-Zone Defense concept and demonstrations of basic escapes from a one-hand wrist grab and two-hand wrists grab. We want students to understand what they’re doing and why they’re doing it along with how to do it. So, how do we train students to escape effectively and efficiently? We want to make the training ‘fun’ rather than ‘scary’ for new students. They need to understand that we care about them and their safety. 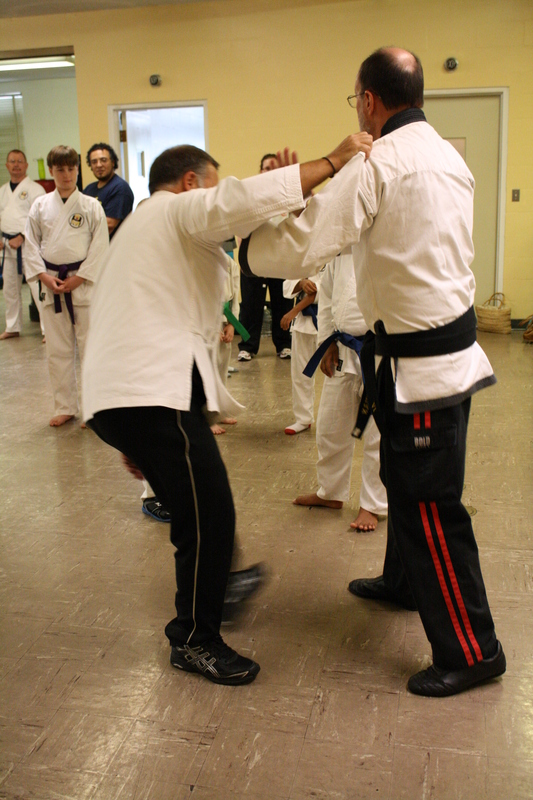 We move slowly toward new students so they better understand the physical actions and reactions involved in self defense. We also move slowly to help them overcome the ‘fear’ of being grabbed and the ‘feel’ of each technique. Every student is a unique person, so we want them to feel confident in the ability of their instructor to teach them and their ability to learn from the instructor. Some students are more sensitive to pain than other students. Some students are timid or concerned about being embarrassed during class. Some students want to show off during class and can hurt others during training. Those are some of the personal dynamics that are important to remember during ‘escape’ training. We want students to ‘experience’ the process and not just ‘watch’ the process. Instructors help students ‘partner’ with another student (usually of similar age, size and gender) to experience the ‘escape’ process. I still use the Tori/Uke system I learned in Judo as a boy. It helps students become ‘engaged’ in training because of the hands-on involvement with their partner. The Tori ‘executes’ a technique in response to the Uke who ‘initiates’ the attack against the Tori. We begin the ‘escape’ training in class by explaining the role of each partner and designating which partner is the Tori and which is the Uke. Every student will get the opportunity to act as a Tori and Uke with each technique. The instructor asks all of the Uke in the class to raise their hands to make sure they know what they’re doing, then demonstrates what they will do during ‘escape’ training. The Uke acts in the role of the ‘attacker.’ The instructor then asks all of the Tori in the class to raise their hands and demonstrates what they will do during training. The Tori acts in the role of the ‘defender.’ Once the instructor is confident that everyone knows their part and how to do it safely, the teacher gives the order for the Uke to grab the Tori in the prescribed manner (e.g. right hand to right wrist, left hand to left wrist, right hand to left wrist, etc). The instructor then gives the order for the Tori to escape from the grab in the prescribed manner. One of the early lessons in ‘escape’ training during Grace Martial Arts classes is to Yield and Clear while performing all techniques. Instructors will demonstrate with an assistant instructor or senior student what happens when Tori performs an ‘escape’ technique without moving away from Uke. That’s the classic Zone 1 to Zone 2 situation where Tori escapes Uke’s grab without Yielding and Clearing their body. Tori may be free of the grab for a moment, but Uke easily grabs them again because Tori did not make any distance while performing the technique. Tori goes from Zone 1 to Zone 2 and quickly back to Zone 1, which means the ‘escape’ technique didn’t work. Escape techniques only work when Tori performs the technique while moving away from Uke to a distance where Uke cannot effect another grab without having to take one or more steps toward Tori. We train Tori to take at least two steps away from Uke so Uke cannot grab them again without having to make a big movement toward Tori. Tori learns to escape using ‘Yield, Clear, Run.’ Once the training moves toward ‘street’ (real-time) speed, Tori will see the importance of performing the technique as one motion (yield, clear, escape, run) rather than individual movements. We go through the count slowly at first, then pick up speed as Tori develops a ‘feel’ for each technique. Moving too quickly in the beginning can frustrate new students. The early classes are a great opportunity to help students build confidence. In our next post, we’ll look at training students how to move their body to change the attacker’s ‘natural’ grip to an ‘unnatural’ grip for more effective and efficient escapes. We invite you and your family to become part of a Christian Martial Arts program. If you would like more information about Grace Martial Arts and Karate For Christ International, please contact Sensei Mark McGee at gracemartialarts1@gmail.com. I love what you guys are doing. Most martial arts schools do not integrate faith into the art form. We need more schools like yours. Thank you. We thank God for the opportunity to teach martial arts from a Christian perspective. It is a joy and privilege.